While attending a luau in Hawaii, I heard a friend say, “If you go over there, you can smell our dinner cooking underground.” I was very confused by his statement; little did I know that I was about to witness the unearthing of our dinner for the evening. I had never heard of an “earth oven” or “imu” before, and to be honest, I was a little hesitant to eat anything that was cooked in the ground by heated rocks. Fortunately, the food was covered with banana leaves, clean chicken wire and a tarp before being put in the ground so it was clean, and quite tasty! It was a great opportunity to learn about earth ovens and witness firsthand how food is cooked differently in other cultures. 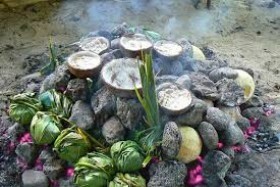 Since MLJ Adoptions has a program in Samoa, and because Hawaiian and Samoan cultures (and many of the other Pacific Island cultures) have many similarities, I wondered if Samoans also used traditional methods such as earth ovens to cook their food. Through my research, I learned that Samoans do use a very similar method of cooking their food, which is called an “umu.” They still use this method in preparing food today. One of the biggest differences is that Samoan umus are generally constructed above ground, instead of in a pit like the Hawaiian imu. Traditional Samoan village houses have gas burners inside the house and an umu outdoors sheltered by a roof, in case of rain, without walls to allow the smoke to escape. Umus use rocks, heated by fire, which are stacked around food wrapped in banana leaves. Layers of banana leaves are then piled on top, and the food is left to cook for a few hours. Cooking times vary depending on the type of food being cooked; for example, a large pig would take several hours to cook, while breadfruit would only take a few minutes. 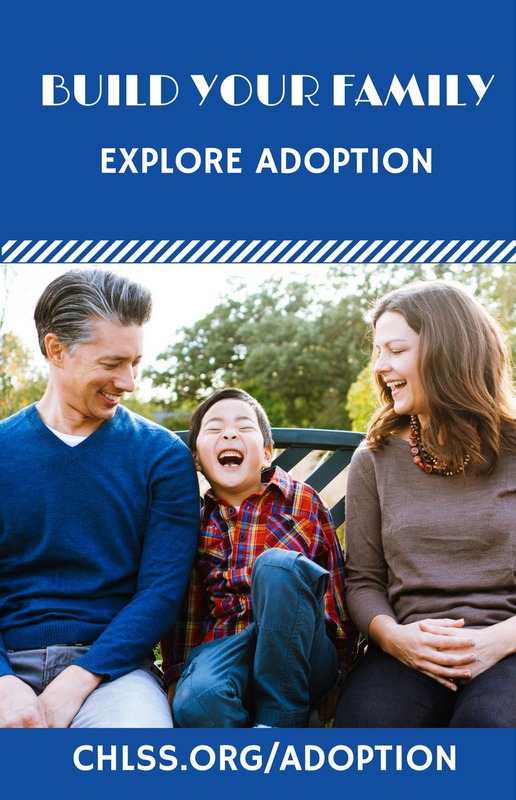 A very important part of parenting a child through international adoption is learning about and sharing in your child’s birth culture. If your child was born in Samoa, they may have memories of adults using an umu to cook food, and can share their experiences with you. If they were younger when they joined your family, teach them about traditions like umus, and try Samoan recipes together to incorporate their culture into your family. If you’re really ambitious, create your own umu! Decorate your home – Buy artwork and pottery from your child’s birth culture to decorate your home and your child’s room. Wear traditional clothing – Buy traditional clothing for the whole family to wear on special occasions and save any clothing as a keepsake for your child when they get older. Celebrate special holidays – Celebrate different holidays from your child’s birth culture or incorporate traditions from their culture into already celebrated holidays. Attend local festivals – Most big cities have festivals that celebrate different cultures, or at least have international festivals. Learn the language – Learn a few key phrases, or incorporate the language into your family traditions, like singing “Happy Birthday” to your child in their birth language. Try new foods – Cook food at home or find a restaurant that serves food from your child’s birth culture. Listen to music – Listen to traditional and popular music from their birth culture. Learn traditional dances – Check out YouTube videos of dances from different cultures, or enroll your child in dance class. Watch shows or movies – Find shows or movies set in your child’s birth country, or that star actors from that country. Even if your child isn’t interested in their birth culture now, continue to incorporate it into your family’s life, because it is part of your child’s identity that should be honored, respected and remembered. It is your responsibility as their parent to try to instill pride in your child for where they came from, because it is part of who they are.